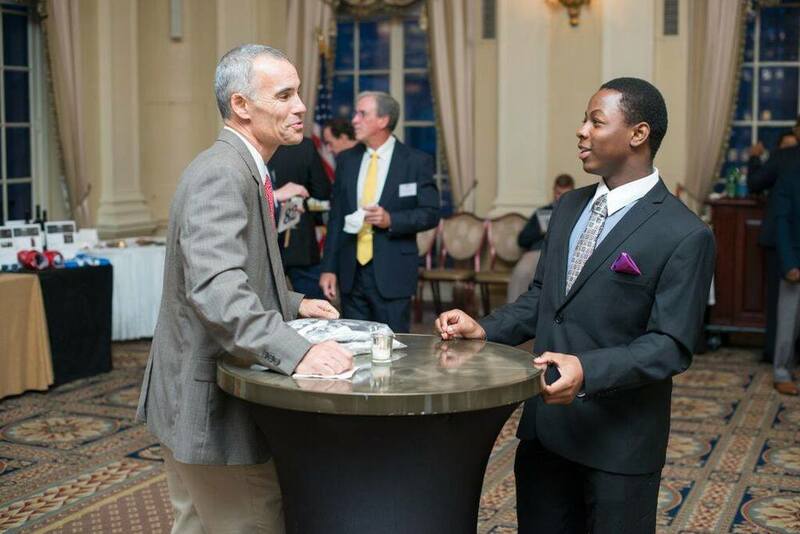 On October 8th, 2015, over 400 of Harlem Lacrosse's friends and supporters joined us for our annual benefit at the Yale Club of New York City to learn more about our work and to help us continue to serve students in Harlem and Baltimore. Before the event, Dom Starsia and Chris Sailer, who are Harlem Lacrosse Executive Board Members and coach at the University of Virginia and Princeton respectively, visited Harlem Lacrosse school sites and ran lacrosse clinics for student-participants. At the benefit, Harlem Lacrosse Executive Board Members Chris Baldwin, Starsia, and Sailer, Founder Simon Cataldo, and student-athlete Eniola Arogundade spoke about our history, growth, and impact. Harlem Lacrosse's guests also enjoyed entertainment by JB Benn "Magic Man", food provided by Gabriele Corcos, star of Extra Virgin and owner of The Tuscan Gun Officine and Alimentari, and gift bags courtesy of 4POINT4 and AT PEAK. Special thanks to Harlem Lacrosse's Coaches Host Committee and Alumni Host Committee for rallying so much support from their school communities! We also thank the leaders of our partner school sites, Principal Claudia Aguirre, Principal Sharleen Bernard, Principal Charles DeBerry, Principal Joseph Gates, and Principal Marc Martin, for their ongoing support of our mission and programs.